Empire of Wild follows Joan, a woman whose husband disappeared a year ago — only to return with a new name, no memory of his past and a mission to bring people to Jesus. 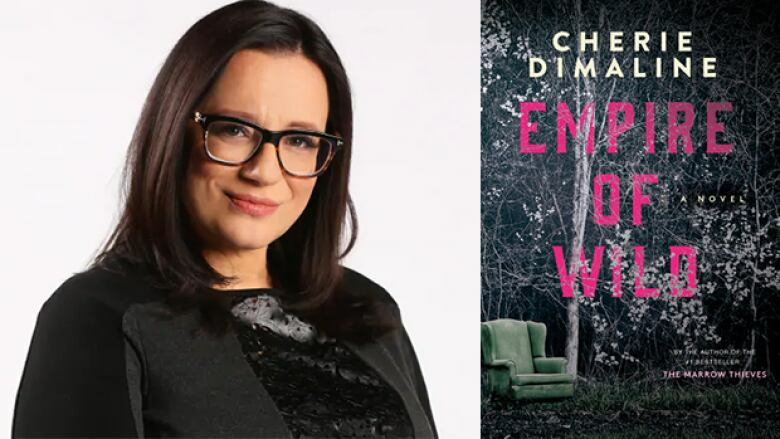 Cherie Dimaline is publishing her first book after the success of her bestselling YA novel The Marrow Thieves. Her next book is a novel for adults titled Empire of Wild, which will be available on Sept. 17, 2019. Empire of Wild is inspired by the Métis legend of the werewolf-like rougarou. Empire of Wild is "a messed-up, grown-up Little Red Riding Hood," according to the publisher's website. The novel follows Joan, a woman whose husband disappeared a year ago only to return with a new name, no memory of his past and a mission to bring people to Jesus. But there's more to it, and Joan is determined to find out what, exactly, is going on. Dimaline's previous books include Red Rooms, The Girl Who Grew a Galaxy, A Gentle Habit and The Marrow Thieves. The Marrow Thieves won the Governor General's Literary Award for young people's literature — text, the Kirkus Prize for young readers, the CODE Burt Award for Indigenous young adult literature and the young adult category of the Sunburst Award for Excellence in Canadian Literature of the Fantastic. It is currently being adapted for television. The Marrow Thieves was also the #1 bestselling Canadian book in independent booksellers across Canada in 2018, according to data collected by Bookmanager. Dimaline told CBC Books via email that fans of The Marrow Thieves can expect a story inspired by many of the same themes and places. "This story comes from that same place: community, politics, old stories, ceremony, survival and the beautiful struggle," she wrote. However, Empire of Wild will still have something new. "It's a new kind of spell, pulling threads from an old creature that haunts my community, church and resource development on our lands and lots of different kinds of love. I am so excited for people to read it."